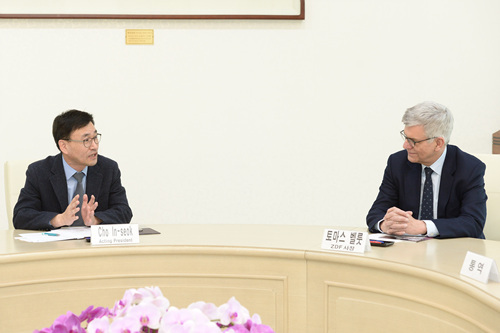 KBS Acting President&CEO Cho In-seok(left) meets with ZDF Director General Thomas Bellut. Executives of KBS and ZDF meet at KBS. Leading public service broadcasters of Korea and Germany have agreed to continue their efforts to consolidate mutual co-operation, especially in sharing future strategies for digital broadcasting and engaging young audiences amid the ever-evolving media landscape. 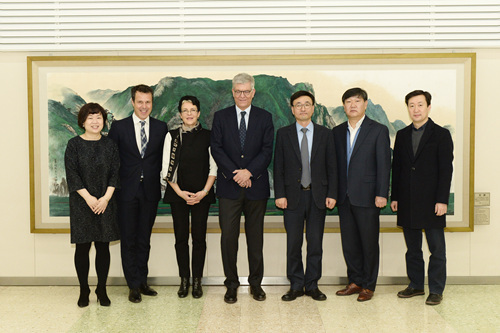 In a meeting with KBS Acting President & CEO Cho In-seok at KBS Headquarters on 20 February 2018, Director General Thomas Bellut of the public TV channel Second German Television (ZDF) expressed strong interest in the KBS’ strategic initiatives for digital broadcasting and new media such as current progress in the development of ‘Digital First’ and financial aspect of this plan. Mr. Thomas Bellut said he is immensely impressed with state-of-the art technology and expertise demonstrated by KBS through ongoing PyeongChang Winter Olympic Games 2018. KBS is bringing its audiences all of the action in Ultra High Definition(UHD), capturing the biggest moments of the Winter Games across TV, radio and digital from the slopes and arenas in PyeongChang. KBS and ZDF heads also exchanged views on the importance of engaging young audiences as a way of maintaining the principal value and mission of public service broadcasting as the world of media is rapidly shifting due to the emergence of new players in the industry including tech giants. Also, ZDF Director General Thomas Bellut said he believes the highly successful Winter Olympic Games in Korea will help ease tensions on the peninsula. KBS and ZDF had signed an agreement to share video and news content in April 2005 and the two broadcasters agreed to further develop the existing mutual news exchange partnership in the meeting. 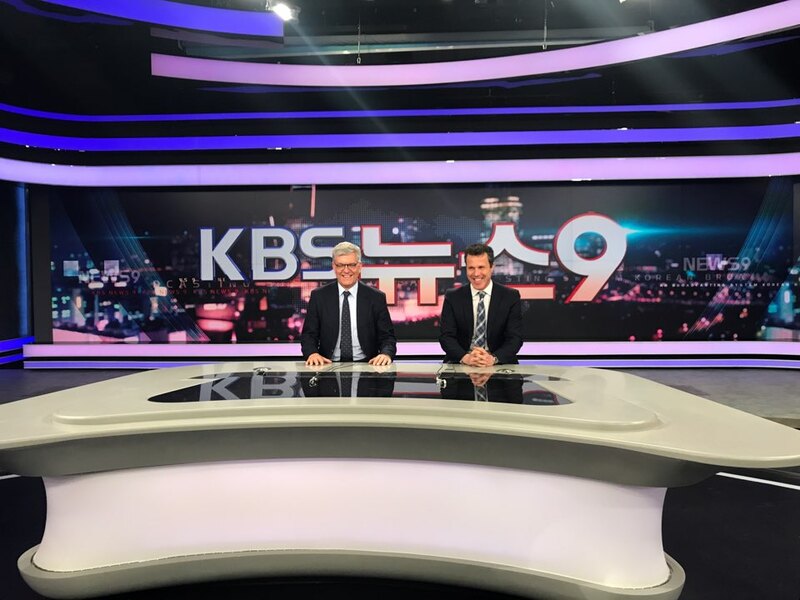 As KBS is hosting this year’s Public Broadcasters International(PBI) Conference in Seoul from 23 to 25 of October, Mr. Cho In-seok offered a briefing on the PBI Seoul 2018 and invited Mr. Thomas Bellut to take part in the annual forum for public service media to share creative strategies and visions for the future. In the meantime, the visit by ZDF Director General Thomas Bellut to KBS was accompanied by two of his senior executives, Bureau Chief East Asia Thomas Reichart and Head of International Relations Dagmar Skopalik.